Natural Beta Carotene is a carotenoid pigment produced by bacteria, micro-algae and higher plants. In animals, it is split by enzymes to form Vitamin A. These carotenoids have specific antioxidant activities like boosting the immune system, combating age related muscular degeneration of the eye and reducing risks of some types of cancers. The microscopic alga, Dunaliella salina, the source of natural betac arotene is grown in raceway ponds. The algal cell traps solar energy through photosynthesis, converting carbon-di-oxide from the atmosphere into cell matter. This is the only known biological source accumulating Natural Betacarotene to this extent (10 - 15%) of its body weight). 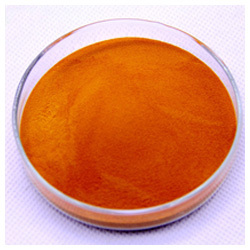 In addition to the highest concentration of Natural Betacarotene found in nature, Dunaliella salina cells and their extracts contains other natural carotenoids like alpha carotene, lutein, zeaxanthin and cryptoxanthin. Each of these carotenoids have specific antioxidant activities like boosting the immune system, combating age related macular degeneration of the eye and reducing risks of some types of cancers. Natural beta carotene from the algae is comprised of an approximately equal mixture of cis and trans isomers. The natural form of betacarotene as produced by us is solubilised directly in oil as it contains the cis form while the synthetic betacarotene contains only the trans form. We produce NATROTENE using a proprietary and patented process technology. Our highly innovative and unique technology ensures that our product conforms to international standards while having no petroleum products in the final formulation and being kosher. Our product has a very high degree of bioavailability, as it is oil based. Further it has the additional benefit of having carotenoids like alpha carotenes, lutein, zeaxanthin etc. as against the synthetic version. Natural Beta carotene has shown positive effects in the treatment of diabetic disorders,eye care, beauty cure and cancer Treatment.